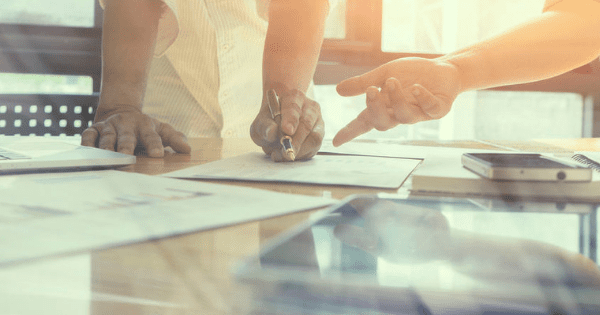 As many CMOs have found, independent contract compliance audits can yield improved agency relationships, enhanced internal controls, and substantial savings. However, the timing of an audit should be carefully considered. 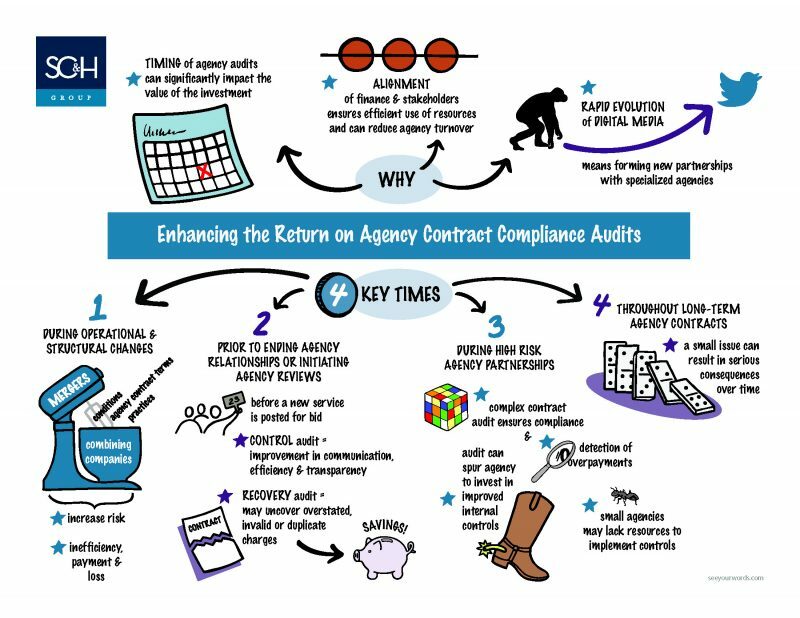 The four key times to engage an independent auditor—as well as the importance of analyzing agency contracts—are visually featured below in our new graphic recording. Today’s CMOs face numerous challenges. They face the financial pressures of corporate cost reduction initiatives. They face the greater influence of procurement on marketing budgets and contracts. And with the rapid evolution of digital media and new media channels, they face the issue of verifying compliance with complex contract terms. Fortunately, contract compliance audits can help CMOs to overcome these challenges. By engaging an independent auditor to analyze their agency contracts, CMOs can not only ensure contract compliance, but also strengthen contract language, improve internal controls, and satisfy procurement concerns by uncovering cost savings, increasing efficiency, and enhancing trust and accountability. During Operational and Structural Changes. Audits are particularly valuable when your company or agency undergoes a merger, acquisition, or significant personnel changes. Prior to Ending Agency Relationships or Initiating Agency Reviews. An audit performed prior to termination may uncover overstated, invalid, or duplicated charges, while an audit performed when a new service is bid upon can proactively establish long-term efficiency, communication, and transparency. During High-Risk Agency Partnerships. When an agency has complex contract terms, operational challenges, or areas for control development, an audit is essential for managing risk. Throughout Long-Term Agency Contracts. An audit can help avoid the costly consequences of a small issue that goes undetected over time. Ultimately, engaging an independent auditor at the right time can be the key for CMOs to foster transparency and improve operations—helping them to achieve their goals. Want more information on how the right timing can help CMOs to overcome challenges? 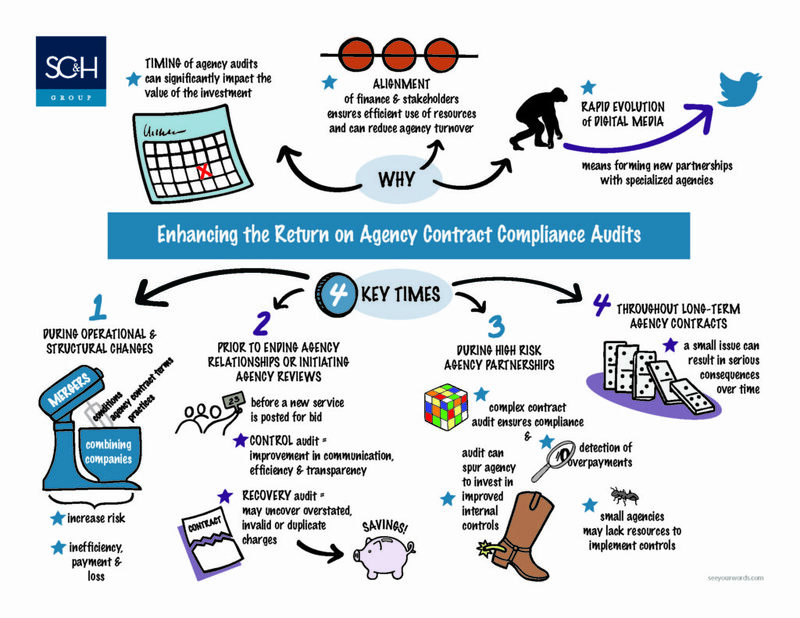 In a recent white paper, SC&H Group’s Contract Compliance Audit team details the growing need for high-quality agency audits and the importance of timing in maximizing ROI. Click here to download it today. To learn more about how SC&H Group can help you cut costs and develop greater trust, transparency, and accountability with agencies and other suppliers, click here.